Together with Isfahan, Shiraz is considered the go to tourist destination in Iran. No other city comes close to it in terms of the sheer number of tourist attractions. While most of the Isfahan’s historical buildings date back to the Safavid era, Shiraz was at its zenith during the Zand Dynasty. From a cultural point of view, Shiraz, as the birthplace of Hafiz and Saadi, is among the most important cities in Iran. 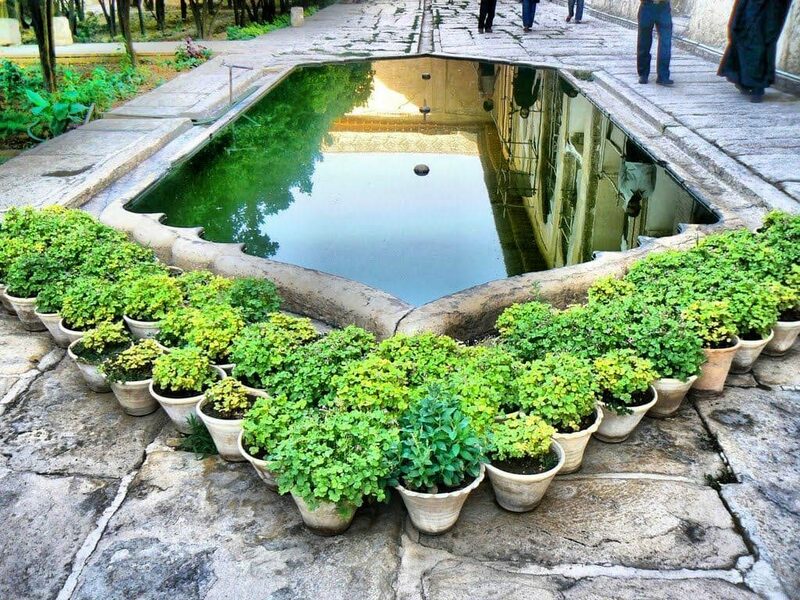 Information on Vakil Bazaar, Vakil Mosque, Eram Garden, and many other masterpieces of architecture and Iranian garden designs can be found in a Travel Guide to Shiraz Iran. Shiraz is one of the most important tourist destinations in Iran first and foremost because of the many magnificent historical buildings in the city, the best examples of which are remnants of the Zand Dynasty. The most famous of these is Vakil Bazaar, which is still in use to this day. Shiraz is also important as a cultural center in Iran. 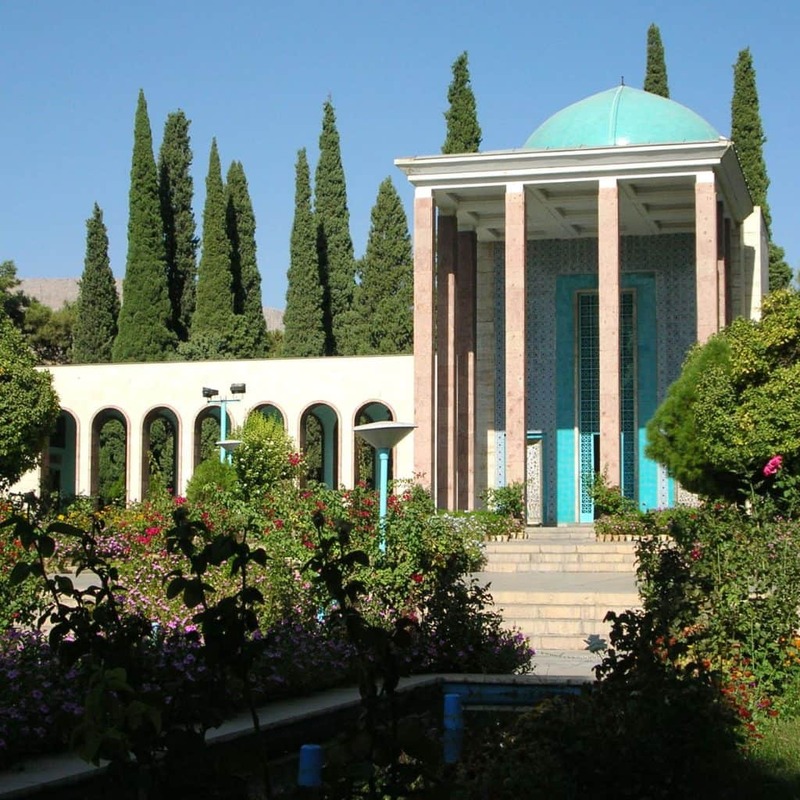 It is the place where Hafiz and Saadi, the most famous Persian poets, were born. Their tombs attract millions of visitors to the city each year. Due to its many attractions, Shiraz is one of the main stops in Iran sightseeing tours . Furthermore, Iran cultural tours would be simply incomplete without a visit to Shiraz. 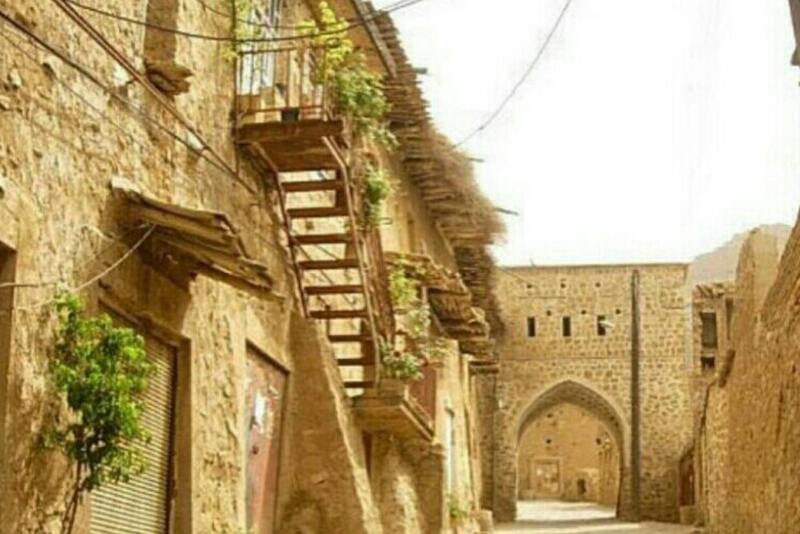 To find out everything about Shiraz, refer to your travel guide to Shiraz Iran. Shiraz has an extensive network of buses. Using a bus is one of the most affordable ways to get around the city, and since most tourist attractions are close to bus stations, it is also convenient. Use a Shiraz bus map to find these stations. If you want to avoid the traffic on the streets, using the metro is your best option. Many of the city’s tourist attractions are close to a metro station. You can find these stations on a Shiraz metro map. You can use taxi service in Shiraz in all the hours of day or night. To find an available taxi, you can either go to a taxi station or call for a pick-up taxi service wherever you happen to be in the city. One of the most modern ways of calling for a taxi is using one of the available mobile apps. You can use a taxi app in Shiraz as well to get an affordable and fast service. Refer to your travel guide to Shiraz Iran to get instructions on how to use these apps. To answer the question of what to see around Shiraz, one would need an entire book. Referring to your travel guide to Shiraz should serve well as a beginning, though. 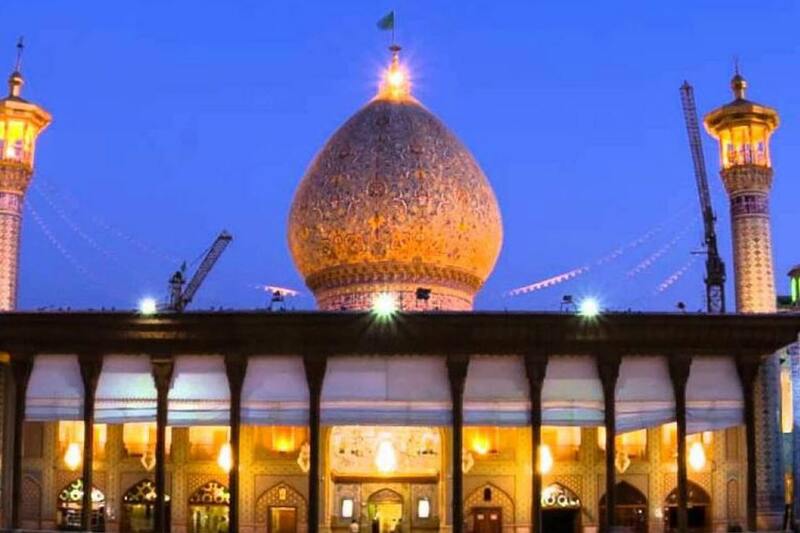 The unmissable tourist attractions in Shiraz which you simply must visit when you travel to Iran are Vakil Bazaar, Vakil Mosque, Vakil Bathhouse, Persepolis (Takht-e Jamshid), Eram Garden, and many others. These locations are the central parts of many Iran sightseeing tours. A remnant of the Daylamite era, Ali Ibn Hamzeh Holy Shrine is notable for both its exterior architecture and its interior decorations. The shrine’s beautiful dome and its spacious courtyard are definitely worth a visit, but the construction’s main attractions are its intricate prism mirror decorations inside. 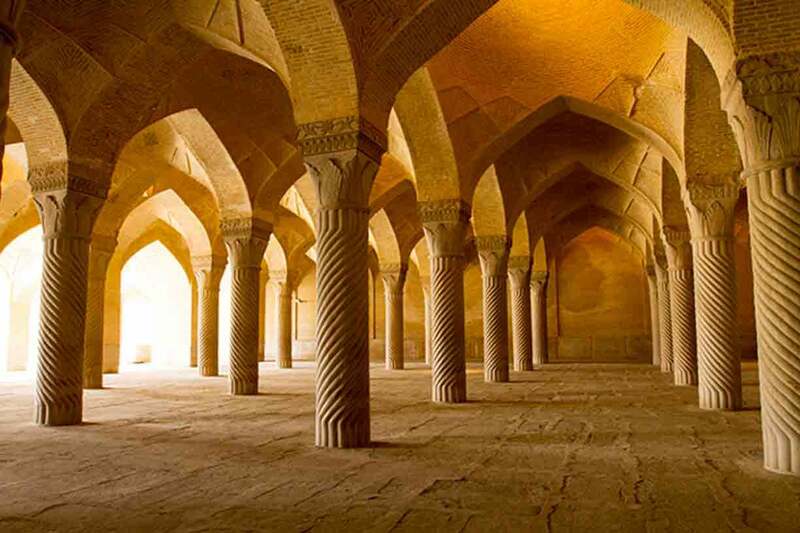 Located on the western side of Vakil Bazaar, Vakil Mosque Fars Province Shiraz is one of the best examples of Iranian-Islamic architecture of the Zand Dynasty. 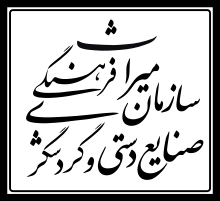 It consists of two parts: a southern Shabestan and an eastern Shabestan. You cannot find a single surface without some kind of decoration in the entire mosque. Calligraphies, tileworks, and stuccos are everywhere you look. As one of the most famous examples of Persian garden design, Eram Garden in Shiraz is located on the northern shore of the Khoshk River. 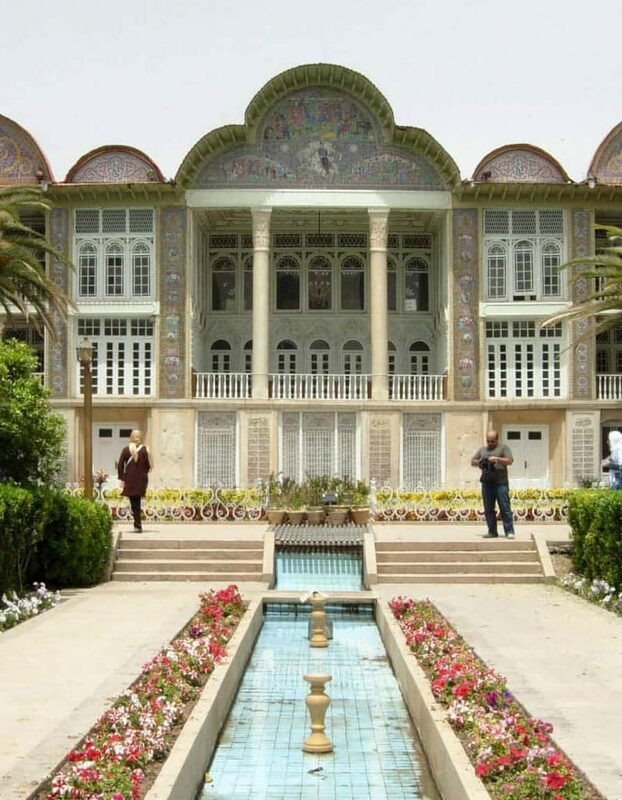 One of the nine gardens that form the UNESCO World Heritage Site under the heading “The Persian Garden,” Erma Garden houses a number of historical buildings within itself, the most important of which is the Qavam House, located in the middle of the garden. 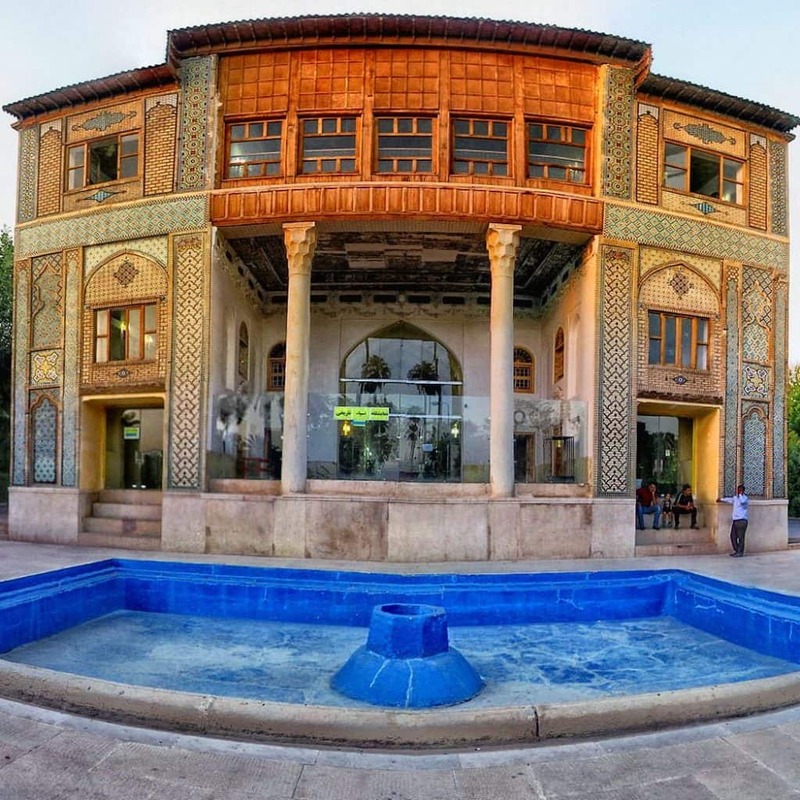 This building with its exquisite tileworks and stuccos is considered one of the best examples of the architecture of the Qajar era. 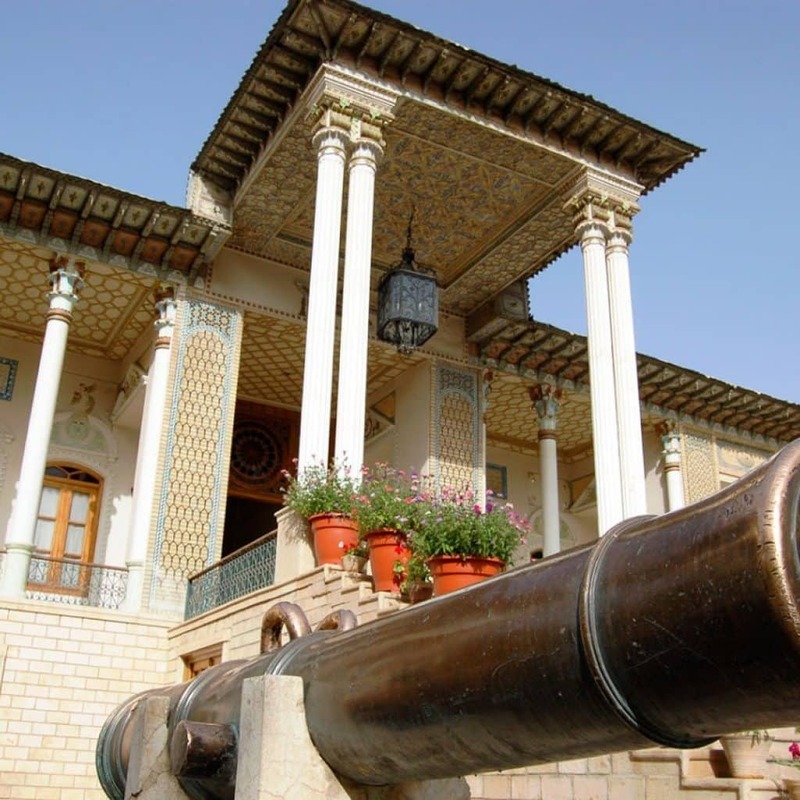 Built over a hundred years ago, the mansion within Afif Abad Garden Shiraz Fars Province houses an arms museum today. 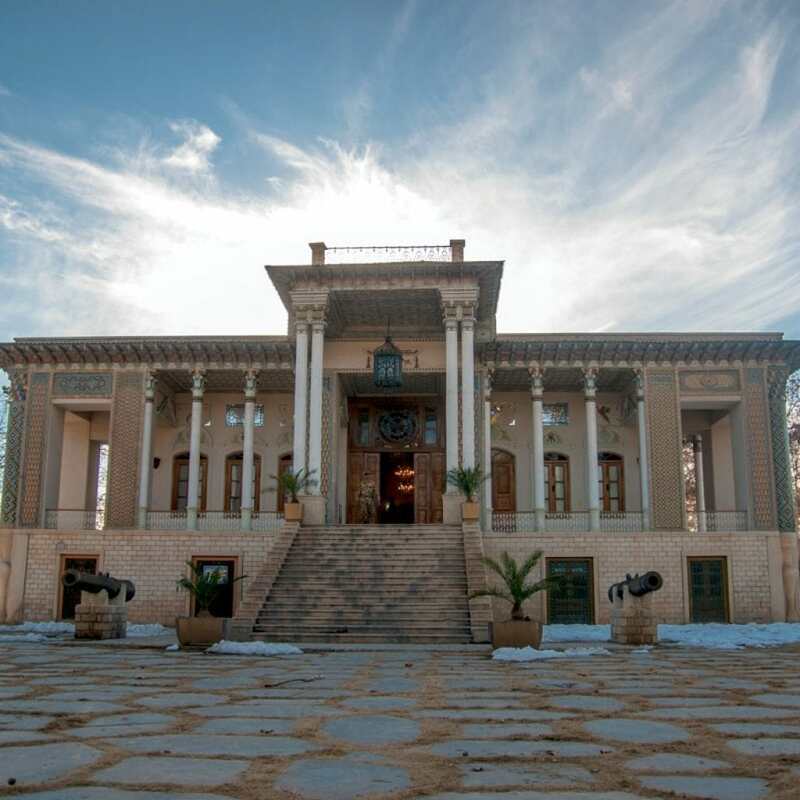 The architecture of this mansion is a mixture of Achaemenid, Sasanid, and Qajar art. 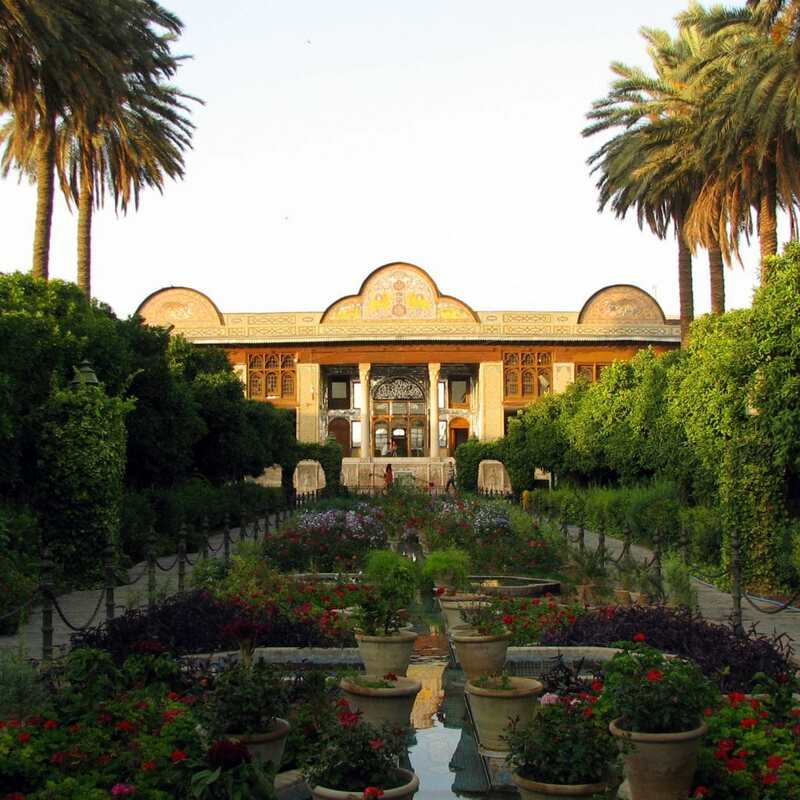 The garden itself, which was used as a private park for the king during the Safavid era, is one of the oldest in Shiraz. One of the remnants of the Sasanid era, Delgosha Garden Fars Province Shiraz is among the most beautiful gardens in the city. 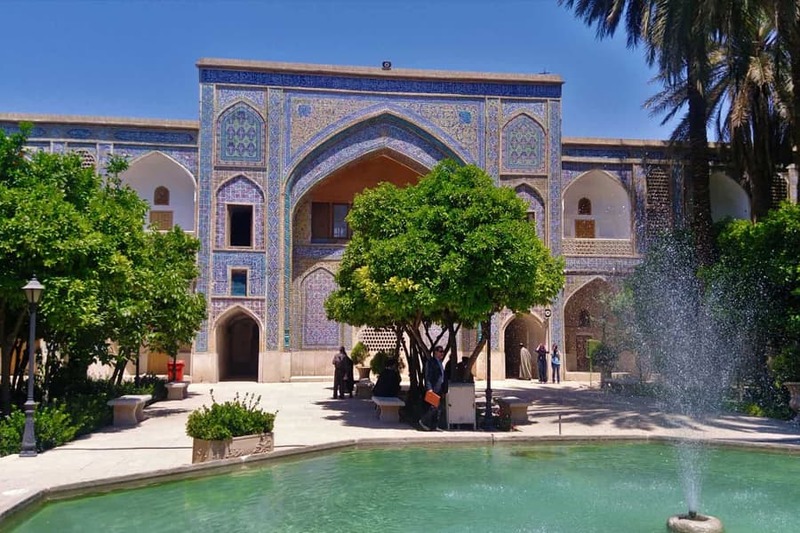 The main building in the garden was built during the Zand Dynasty, but other buildings were added to the complex during the Safavid and Qajar eras as well. Most of the trees in the garden are from the citrus family. Shapouri House Shiraz is one of the most recent additions to the city’s already long list of magnificent buildings. 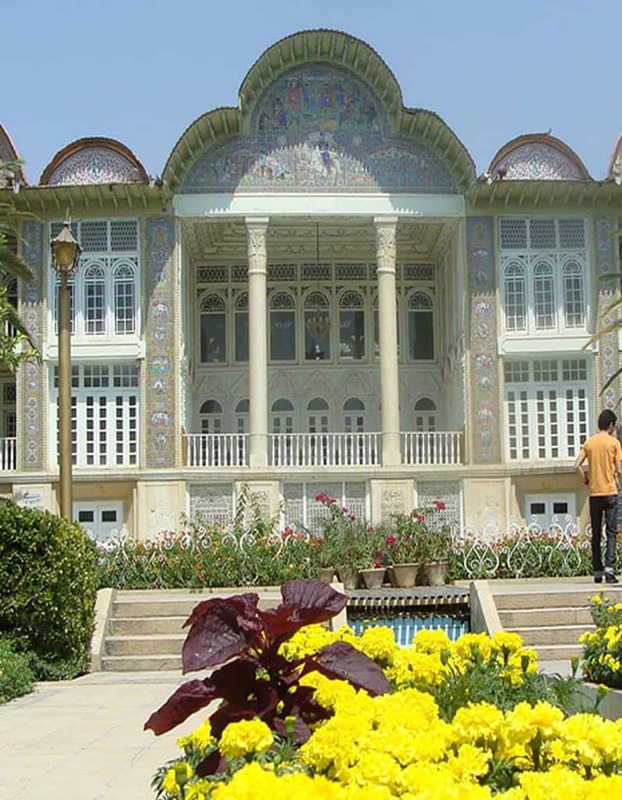 Built during the Pahlavi era, around eighty years ago, Shapouri House Shiraz is a two-story mansion that is located in the middle of a beautiful garden. The architecture of this house is significant in that it is one of the very first houses with a balcony in Iran. Built during the Safavid era, Khan Theological School Shiraz is one of the first universities in Iran. In addition to theology, modern sciences such as arithmetic, geometry, chemistry, botany, and zoology were taught at the school. The complex follows the rules of Islamic architecture and is considered one of its best examples in the city. 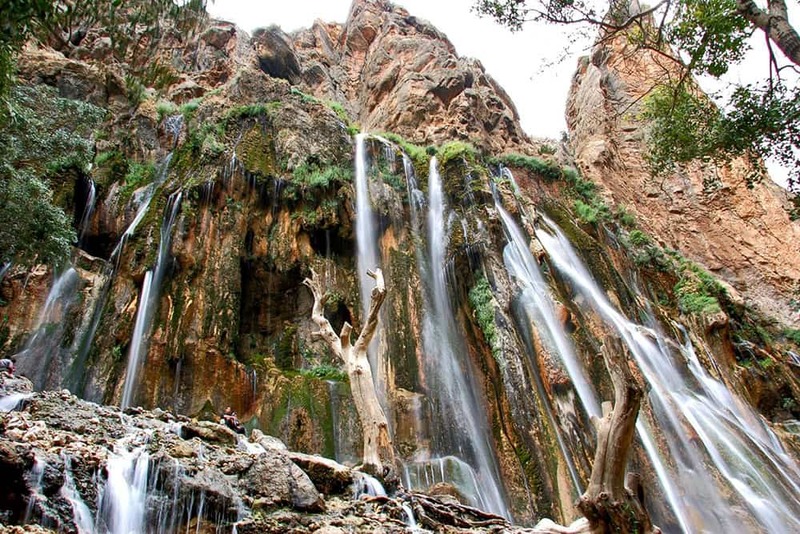 Margoon waterfall Shiraz is one of the most beautiful waterfalls in Iran and is also considered one of the tallest spring waterfalls in the world. The road that takes you to the waterfall through the mountains is beautiful during all seasons of the year, especially in spring. 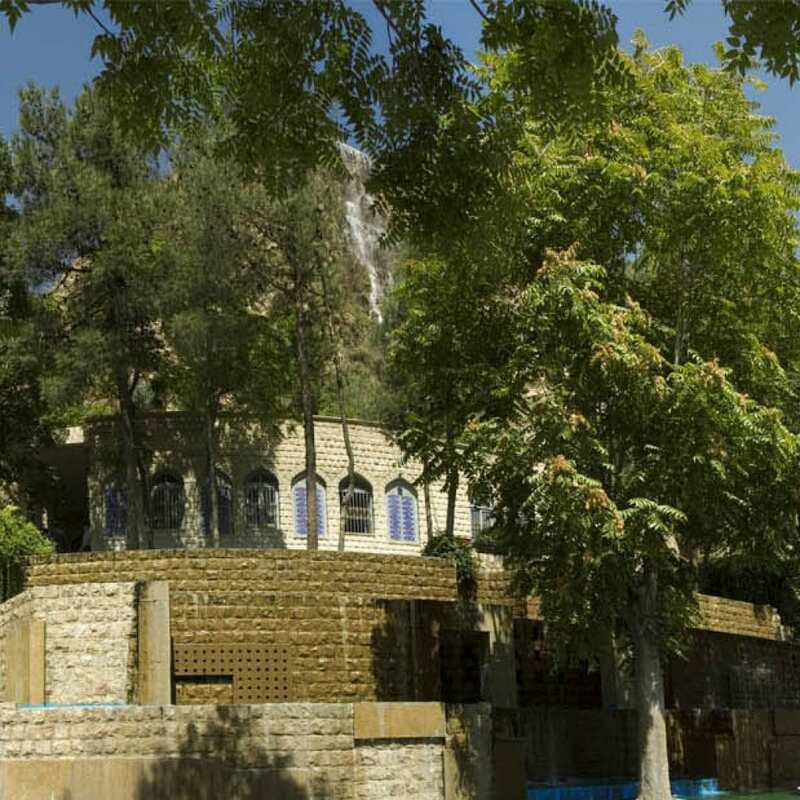 For those on an Iran photography tour, Magoon waterfall Shiraz is an unmissable stop. 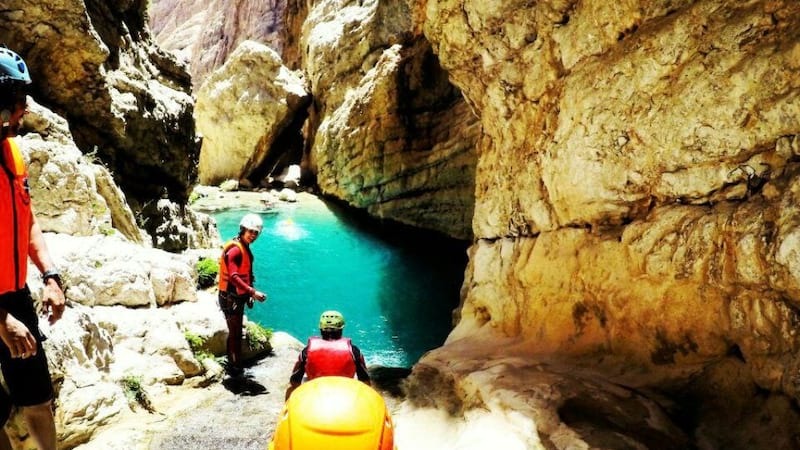 Located on the northwestern side of Shiraz, Qalat Village Shiraz has been a great retreat for the people living in the metropolis whenever they need to enjoy nature. In addition to its natural beauty, the village has an old church dating back to a hundred years ago. You can also visit Qizil Arslan Castle, which is located nearby. One of the best examples of an Iranian traditional bazaar, Vakil Bazaar Shiraz Iran was built during the Zand era around three centuries ago. 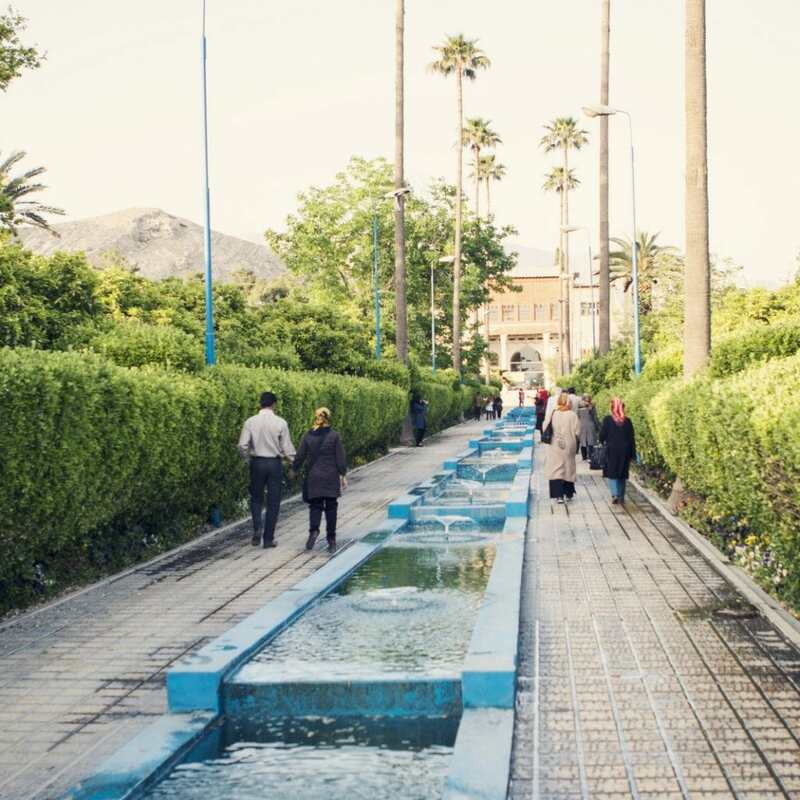 Today, it is one of the most popular tourist attractions of Shiraz, because in addition to its own beauty, it is close to many other tourist attractions in the city. 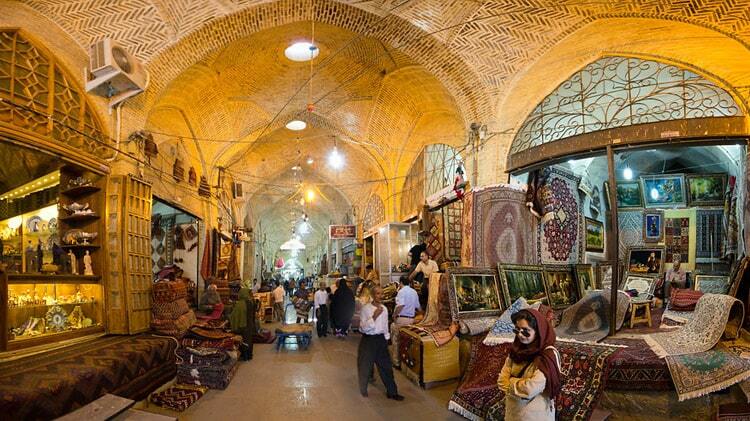 Furthermore, for those looking to buy a souvenir of Iran, Vakil Bazaar Shiraz would provide a great opportunity. 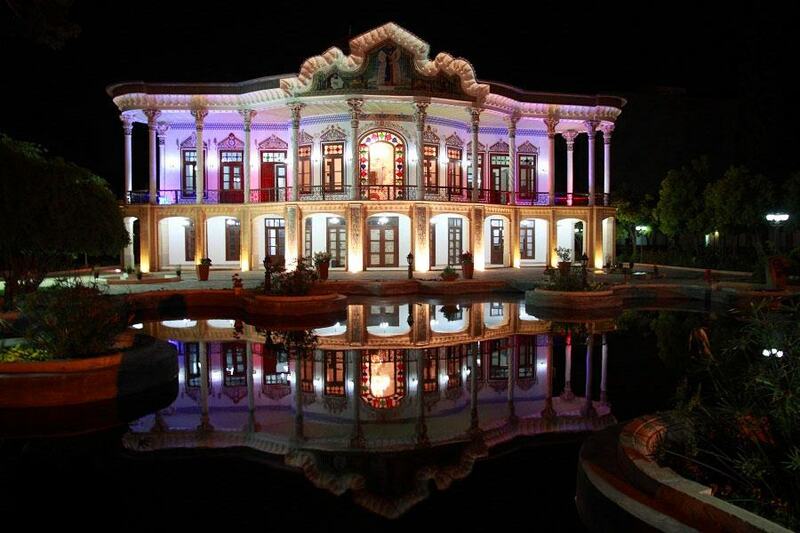 Narenjestan Ghavam Shiraz was built by a merchant during the Qajar Dynasty. Ghavam family were influential figures during Zand, Qajar, and Pahlavi dynasties. In addition to its magnificent architecture, the mansion features beautiful prism mirror and stucco decorations. 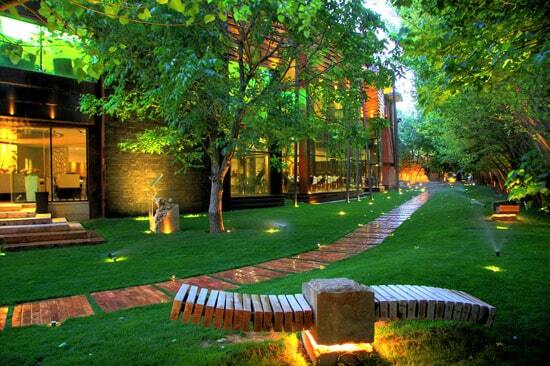 The garden surrounding the building is also one of the most beautiful in Shiraz. Saadi was revered as the best Persian poet during his lifetime and his influence has not diminished since. 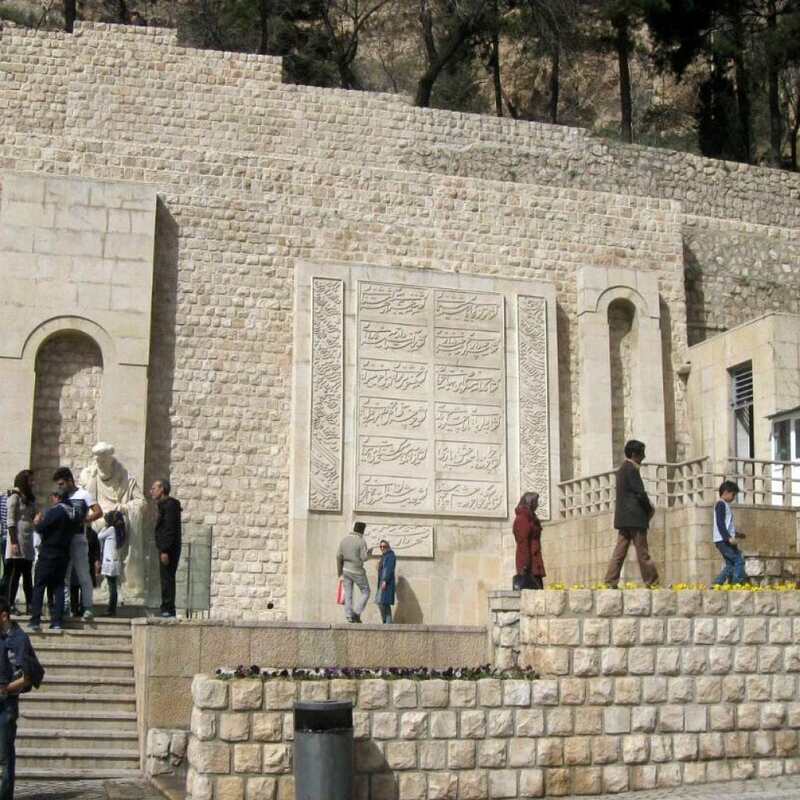 Saadi’s resting place has seen many changes since his passing over seven centuries ago. A simple tombstone was the only mark of Saadi’s grave at first. Later, during the Zand Dynasty, a mausoleum was built using brick and plaster. The current building was built around sixty years ago by the famous Iranian modernist architecture, Mohsen Foroughi. Masjid Nair Al Mulk Iran is known as one of the most beautiful mosques built during the Qajar Dynasty. The building is famous for its colorful windows which create dazzling effects during the day. The tileworks used in the building are among the best in Iran. Furthermore, the muqarnas decorations in the mosque are considered peerless. Masjid Nasir Al Mulk Iran is one of the main stops in Iran cultural tours. Located on the northern side of the city and right across Darvazeh ye Quran Shiraz, Khajoo Kermani tomb is a place of pilgrimage for many lovers of Persian poetry. The tomb is surrounded by beautiful natural scenery. The place is also architecturally significant in that it has no roof but a portal and a number of columns. A detailed statue of the poet can also be seen beside his grave. 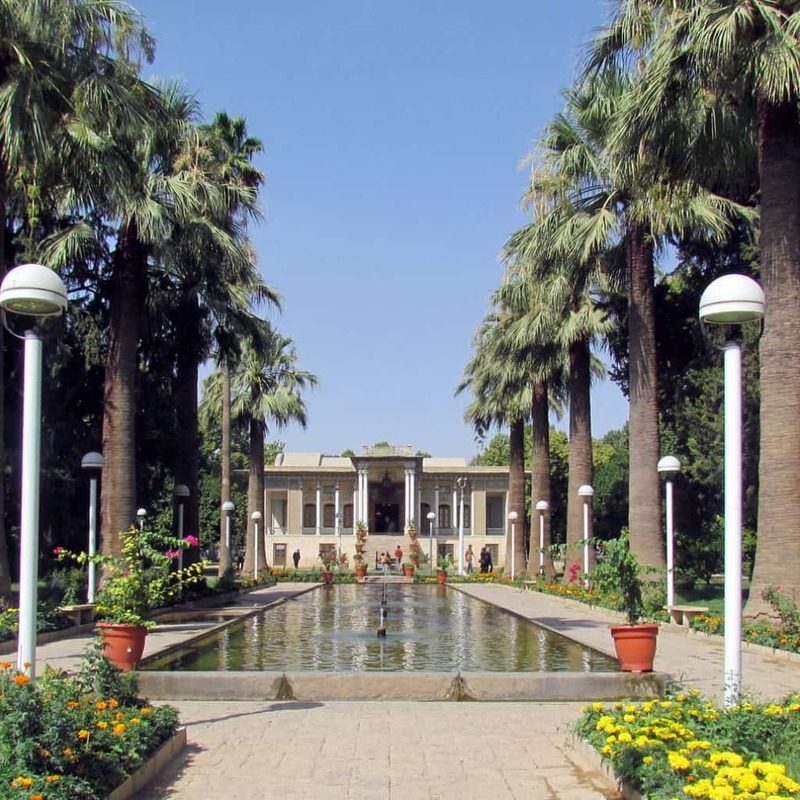 Pars Museum Fars Province Shiraz is located inside the Nazar Garden in the city of Shiraz. 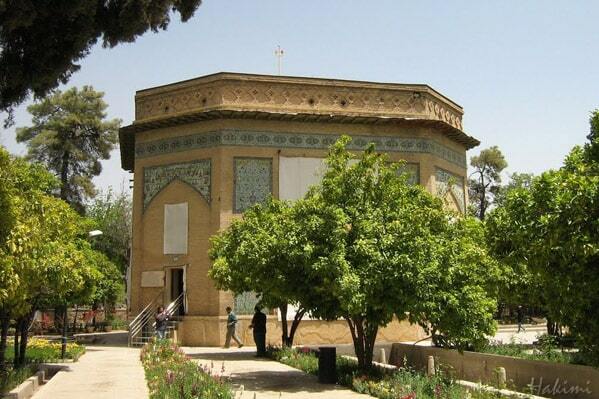 It is where Karim Khan Zand, the founder of Zand Dynasty, is buried today. 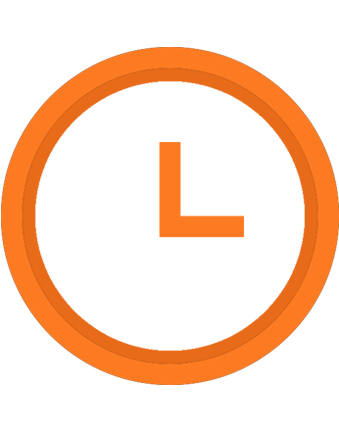 The museum itself is the oldest in Fars Province and has a magnificent collection of metal and clay objects as well as old coins and seals. Many famous paintings from Iranian masters are kept in this museum. Also kept here is a thirty-volume Quran, dating back to six centuries ago, which is of great historical significance. Takht-e-Jamshid Fars Iran, also known as Persepolis, is probably the most important historical site in Shiraz, if not in the entire country. A UNESCO World Heritage Site, it is a complex of mansions dating back to the Achaemenid Empire over twenty-five hundred years ago. Eight distinguishable mansions, as well as a treasury, were part of this complex. The stone inscriptions that can be found all around the site are of great historical importance. Persepolis was torched by the Macedonian Alexander in 330 BC and only its ruins remain today. 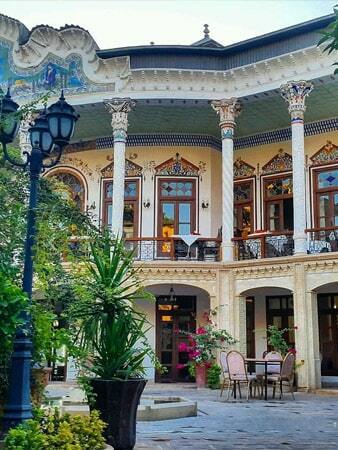 Zinat-ol-Molk House is a mansion that was built during the Qajar Dynasty. 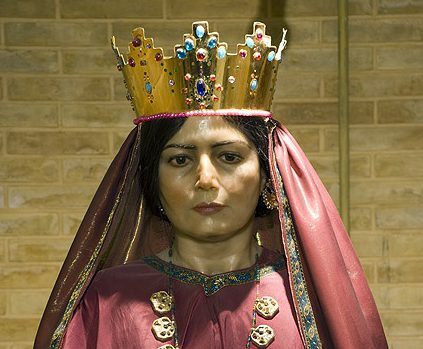 It has been turned to a museum dedicated to important personages of Shiraz. 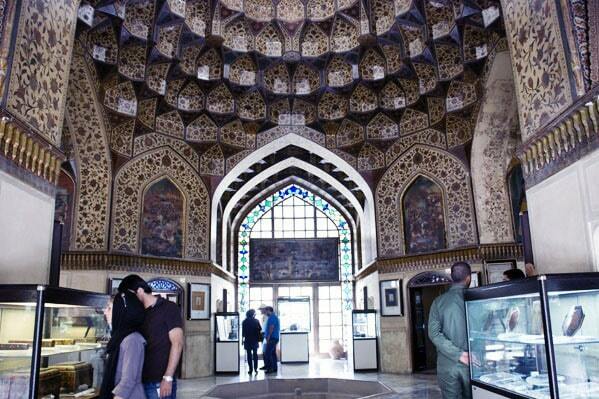 The building itself features some of the most beautiful prism mirror, tileworks, and wooden decorations in Iran. Arg of Karim Khan Shiraz is a citadel in the heart of Shiraz City. It was built during the Zand Dynasty around three hundred years ago. Karim Khan Zand chose this citadel as his living place when he conquered Shiraz for the first time. The citadel was used as a prison for a time during the Pahlavi era. Today it is undergoing renovations to become a museum. Darvazeh ye Quran Shiraz is located on the northern part of the city. 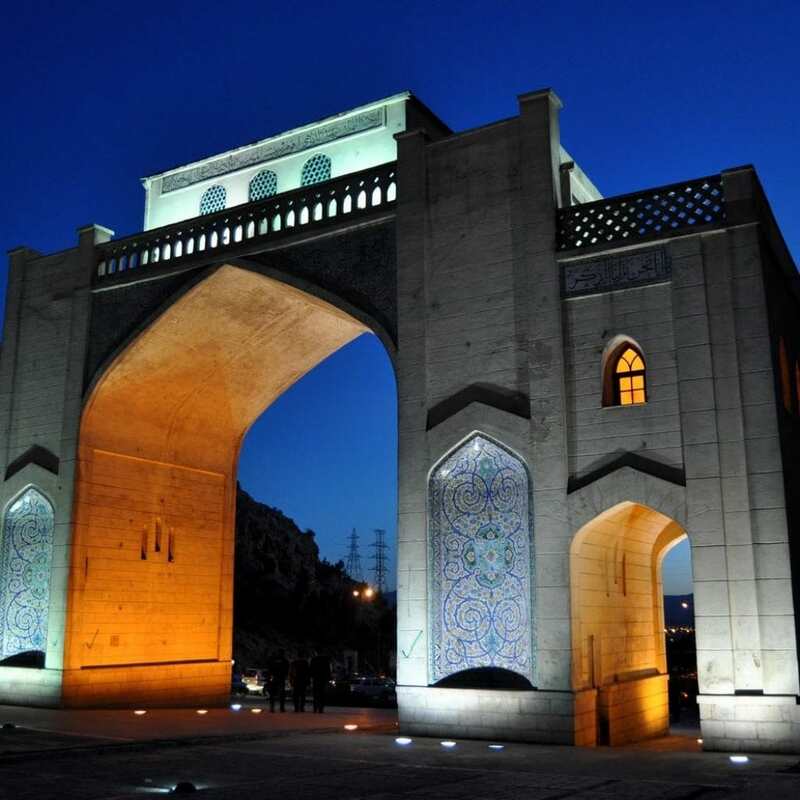 Shiraz used to have six old gates, but Darvazeh ye Quran is the only remaining one. The reason behind its name is that a holy book of Quran was placed on the top of the gate in those times so that travelers would be blessed when they entered the city. A UNESCO World Heritage Site in Shiraz, Pasargadae is a complex of buildings dating back to Achaemenid Empire, which was found in the 6th century BC. The architecture of the buildings in this complex is under the influence of Greek architecture. 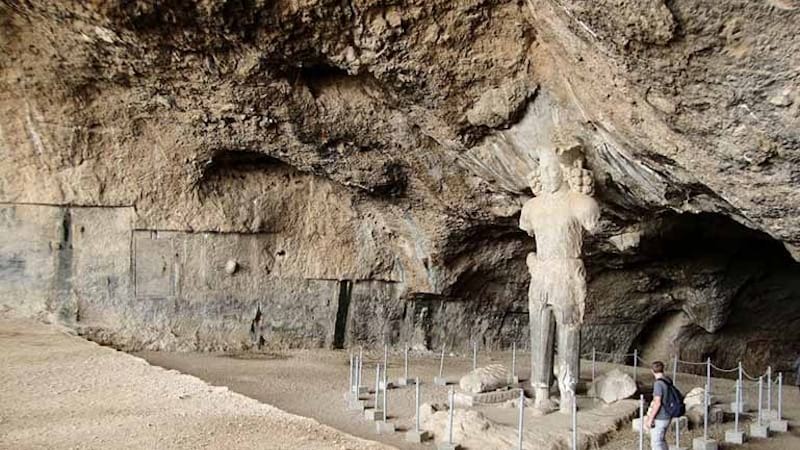 The most important construction on this vast archeological site is without doubt Tomb of Cyrus, which dates back to over twenty-five centuries ago. 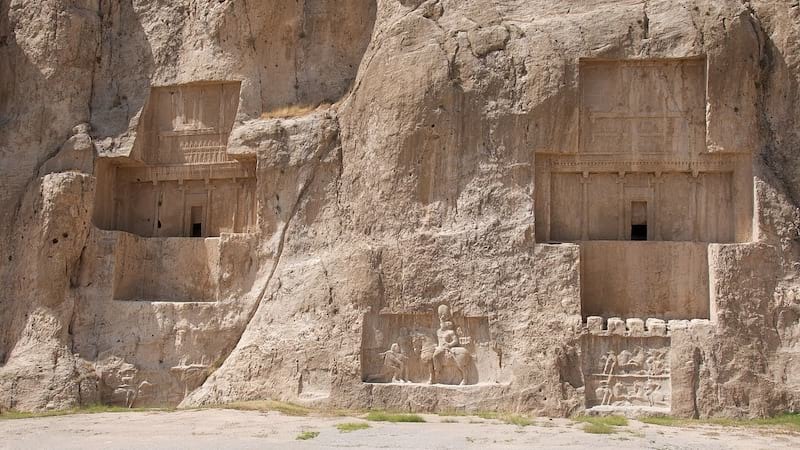 There are many other important constructions on the site, including Tomb of Cambyses II, Tall-e Takht, which was a defensive citadel, and an ancient bridge dating back to the late Achaemenid era. 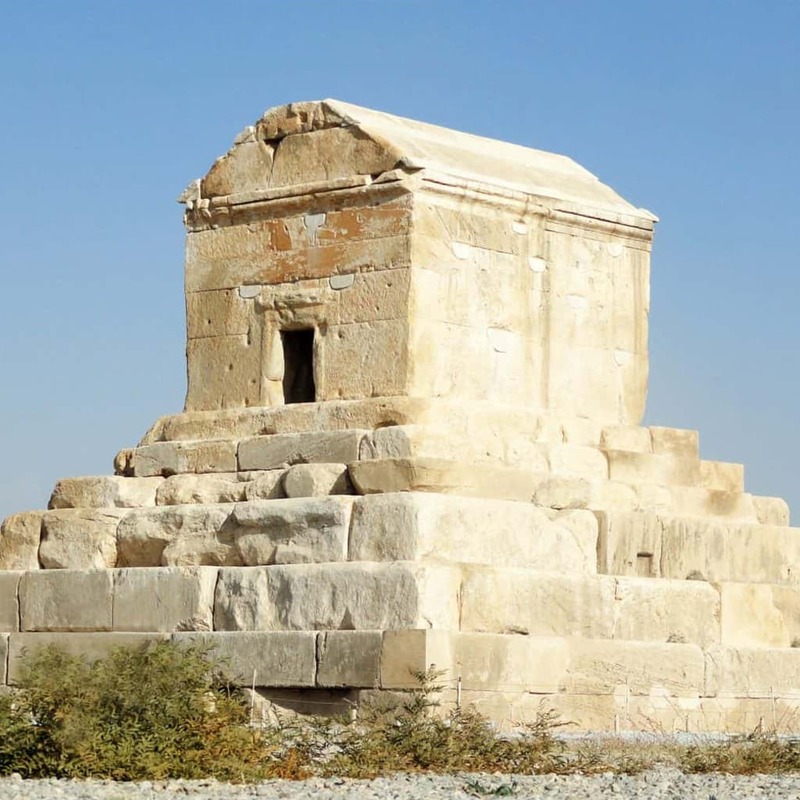 Pasargadae is a top tourist destination Iran. Shiraz is one of the best places to experience Iranian food culture and Iranian eating habits. Since it is one of the top tourist destinations in Iran, you can find many fine restaurants in the city which serve both traditional Iranian food and international dishes. 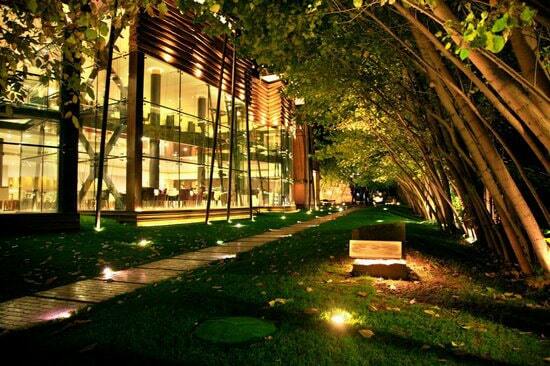 Baghe Raaz, Shapouri Garden, Haft Khan, Sophi, and Sharze are among the best restaurants in Shiraz. 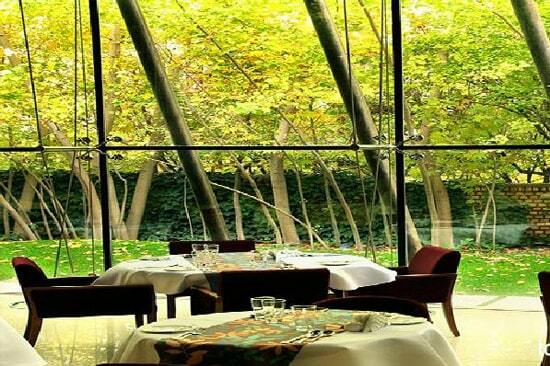 You can find many more restaurants in your travel guide to Shiraz Iran. Baghe Raaz Restaurant Shiraz is famous all over the city because of its delightful atmosphere and its high-quality service. Try to reserve a table in the restaurant’s outdoor space to make the most of what it has to offer. The menu includes all the famous traditional Iranian dishes. 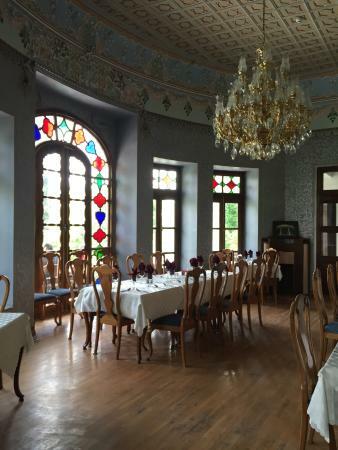 Located in the beautiful Shapouri House Shiraz, Shapouri Garden Traditional Restaurant provides a great opportunity for its guests to enjoy traditional Iranian food while soaking in the breathtaking atmosphere of its beautiful site. Shiraz is one of the top tourist destination Iran and there are many hotels in Shiraz City. Depending on your budget and other preferences, there is a wide array of hotels you can choose from. Chamran Hotel, The Grand Hotel, Homa Hotel, and Zandiyeh Hotel are among the most luxurious hotels in the city. If you are on a budget, Parseh Hotel, Amir Kabir Hotel, and Elysee Hotel are better options. 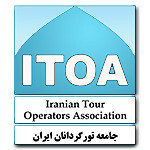 You can find the contact information for these and many other hotels in your travel guide to Shiraz Iran. There are many shopping malls in Shiraz, and you can choose the best one according to your preferences. 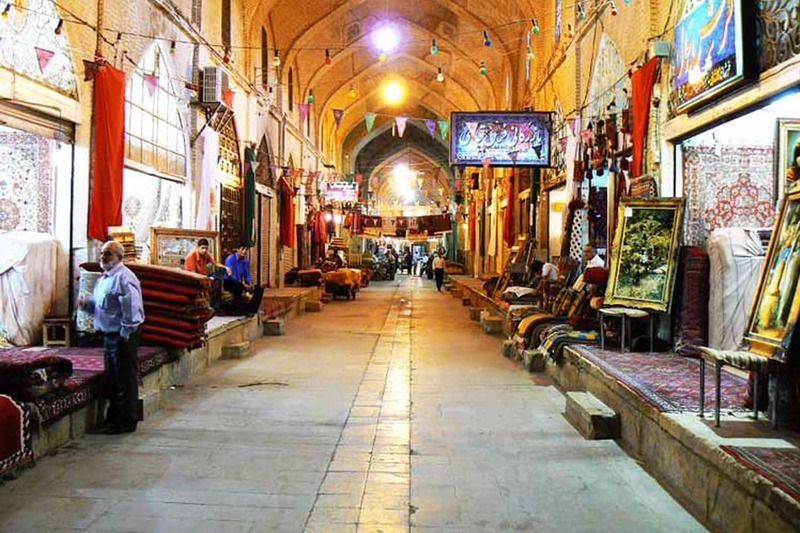 If you want to buy a souvenir of Iran, Vakil Bazaar is your best option. For something more modern, Persian Gulf Commercial Complex, Zeytoon Fars Mall, and Setareh Fars Mall are your best options. 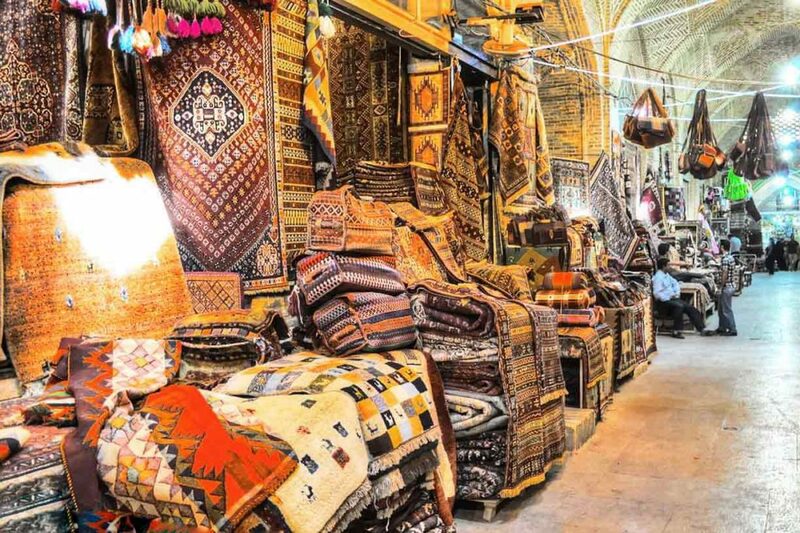 Located at the heart of the city and close to many of the city’s tourist attractions, Vakil Bazaar Shiraz Iran is a must-see destination for those who want to buy a souvenir of Iran. The Bazaar is divided into many sections and each section is dedicated to a particular kind of goods which you can buy at reasonable prices. 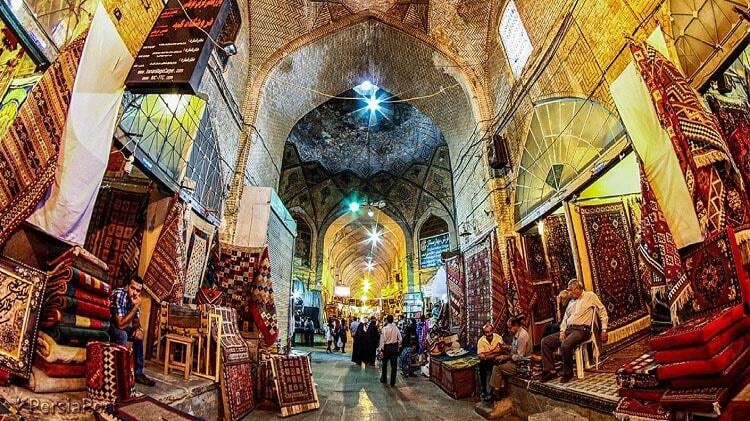 Metalworks, carpets, and many other Iranian handicrafts can be found in this old bazaar. Shiraz International Airport provides services for thirty million passengers each year. Given the city’s importance as a top tourist destination in Iran, the airport has been equipped with the latest facilities to make the incoming and outgoing traffic as smooth as possible.